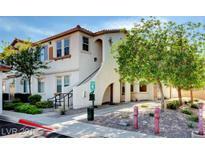 Find Henderson, NV Condos for sale. View Photos, Maps and MLS Data Now! Security Bldg, Rooftop Deck Has Amazing Strip, City & Mountain Views Plus 2 Spas, Outdoor F/P & 2 Bbqs. No Pets! MLS#2089758. BHHS Nevada Properties. 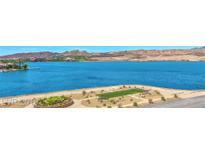 Mantova Lake Las Vegas - 2nd BdRoom Includes Murphy Bed/Office Furniture Luxury Resort Living MLS#2089948. BHHS Nevada Properties. Green Valley Ranch - 3 generous bedrooms,master bedroom downstairs plus huge loft., includes fridge, washer & dryer, covered patio,2 car garage, Highly decorated 2 story with master down, nearby parks, shopping and highways and more. MLS#2089975. Marshall Stearns Real Estate. Stone Canyon Pecos - Front landscaping maintained by the association. MLS#2089885. Beers and Associates. Ladera Villas - WELCOME HOME ~ 3 beds, 2 baths, 1 car garage, spacious downstairs unit, open kitchen w/ white appliances, upgraded carpet/tile floors, plantain shutters throughout, large master bedroom w/ walk in closet, ceiling fan, covered patio access, master bath w/ dual sinks & shower, washer/dryer, detached 1 car garage next to unit, gated community w/ roving security, community pool/spa, located near top ranked schools, shopping, dining & entertainment. MLS#2088740. Black & Cherry Real Estate. Bella Fiore Lake Las Vegas - Has A Covered Private Patio, Walk In Closet & Attached Garage. MLS#2089720. THE Brokerage A RE Firm. Paradise Court - This Home is Located in close proximity to Nevada State College and College of Southern NV Henderson. MLS#2089705. Urban Nest Realty. 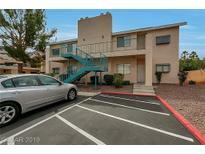 Paradise Court - Conveniently located 2 minutes to US 93/95. MLS#2089641. BHHS Nevada Properties. Schedule a viewing today as this one won't last! ! MLS#2089640. BHHS Nevada Properties. 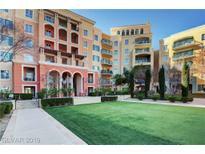 Viera Condo - Unit can be used as a residence or vacation rental. Enjoy resort living! MLS#2088612. Windermere Prestige Properties. South Valley Ranch - 2 Bed, 2 Baths*open Floor Plan With Patio*tile Flooring* Spacious Master Bedroom With Walk-in Closet & Ceiling Fan*master Bath W/ Dual Sinks, Tub/Shower Combo*all Appliances Included*community W/Pool, Spa & Clubhouse* Nearby Shopping Mall And Restaurants*hoa Includes Water, Sewer And Trash * A Must See! ! MLS#2089377. ERA Brokers Consolidated. Horizons At Seven Hills Ranch - All your conveniences nearby- grocery, shopping, gym -- even catch a game at the new Raiders stadium. HOA includes water, sewer, trash. MLS#2089583. Elite Home Finders. Broadstone Green Valley - Gated Community Offers Pools, Spa, Clubhouse, And Fitness Center. MLS#2089573. Realty ONE Group, Inc.
Southfork - Minutes away from Shopping, Dining, Parks & Henderson Multigenerational Center. Community Pool just steps away. MLS#2089114. BluePrint Realty LLC. Ventana Canyon - Please click on this link https://bit.ly/2PkDRvA for a dollhouse 3D VR walkthrough. MLS#2089161. Keller Williams Realty Las Vegas. Big Horn At Black Mountain - Big Horn at Black Mountain is located next to shopping, parks, highways ! !Low HOA.. welcome home now ! ! MLS#2088792. Realty ONE Group, Inc.
Pacific Legends - Enjoy your peaceful retreat just north of the 215, convenient to Stephanie and The District shopping and amenities. MLS#2089139. Realty ONE Group, Inc.
Legacy - There are 3 pools, exercise room/sauna & BBQ areas & highly rated schools. MLS#2089380. Simply Vegas. Lamplight Village - *gorgeous 3 Story Townhome In Gated Community With Access Bbq Area & Dog Park*roof Top Deck Offers Amazing Panoramic Views Of The City & Mountains*open Floor Plan With 18" Tile Floors*bright & Airy With Fans Throughout*kitchen Has Stainless Steel Appliances W/ Quartz Counter Tops, A Breakfast Bar, Walk-in Pantry & Island*spacious Rooms*double Sinks In Master Bathroom With Large Walk-in Closet*2 Car Garage*must See* MLS#2089051. Keller Williams Market Place. Inspiration At Green Valley - This community features mature landscaping, sparkling pool & spa. MLS#2089023. CanAm Real Estate Services LLC. Paradise Court - Located in prime area of Henderson and zoned for highly sought after Foothill High School. MLS#2088669. Needham Realty. Trilogy At Stephanie - Gated w/community pool! Ideal location close to I-215. MLS#2088846. Synergy Sothebys Int'l Realty. Village Green - Beautiful green landscape! Don't miss out! MLS#2089138. Resolution Realty. 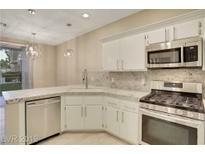 Nicely appointed 2 bedroom, 2 bath, condo, with 1 car detached garage in popular Green Valley area. 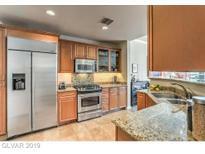 All appliances included MLS#2088970. ADG Realty.